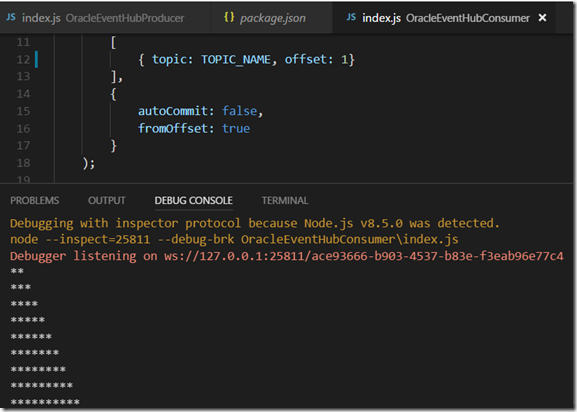 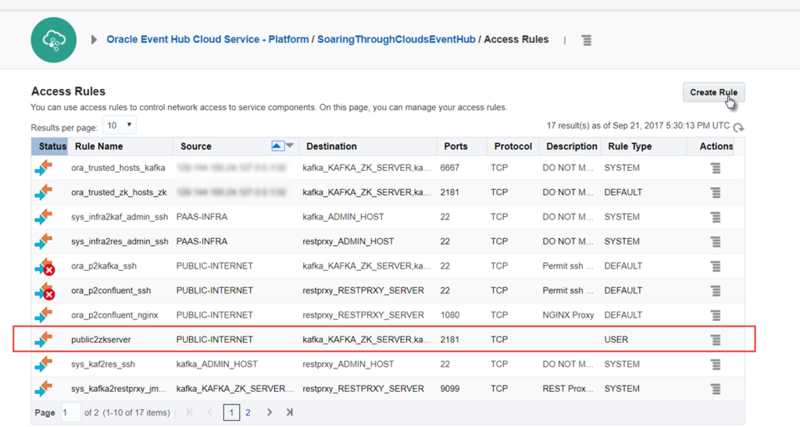 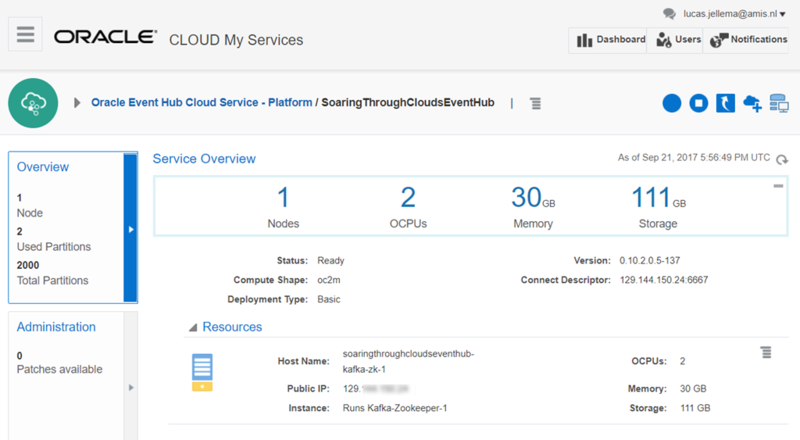 Oracle offers an Event Bus Cloud Service – an enterprise grade Apache Kafka instance – with large numbers of partitions and topics, (retained) messages and distributed nodes. 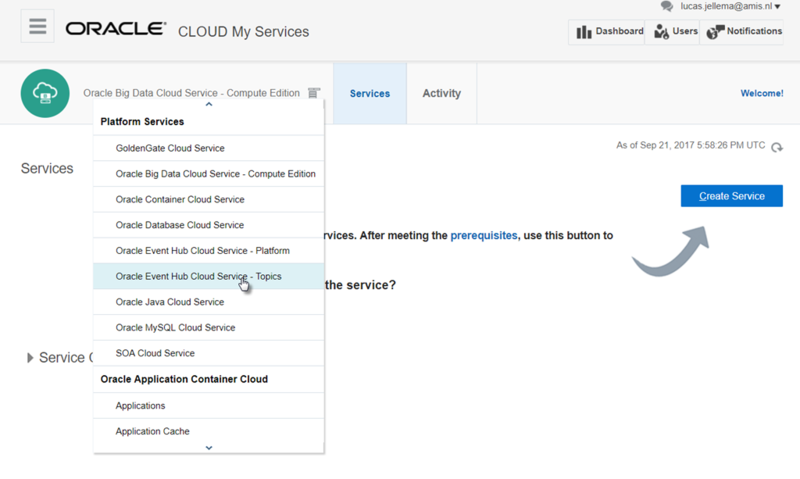 Setting up this cloud service is simple enough – especially once you know what to do, as I will demonstrate in this article. 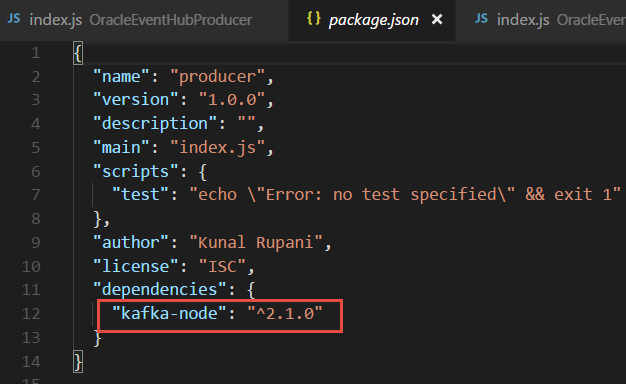 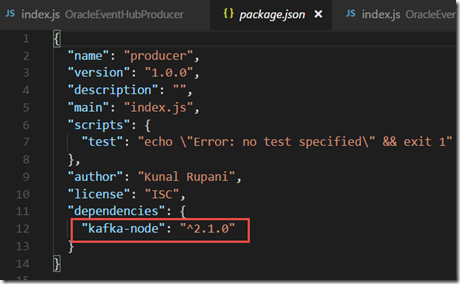 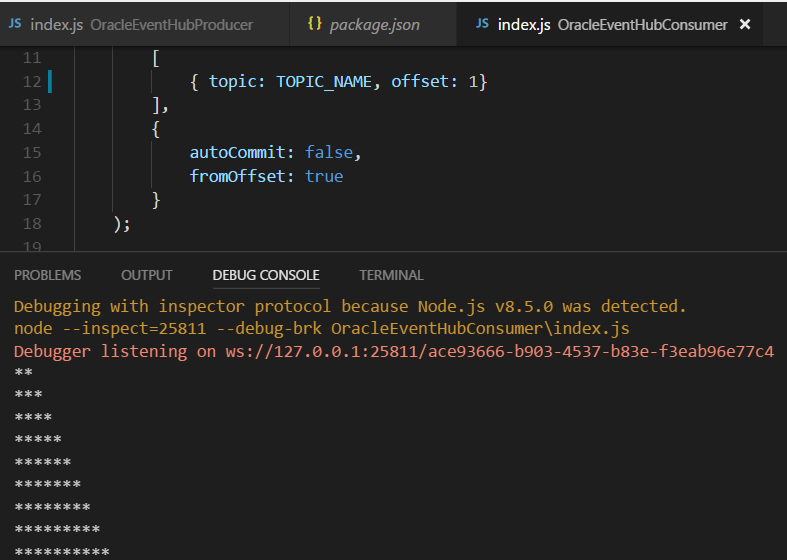 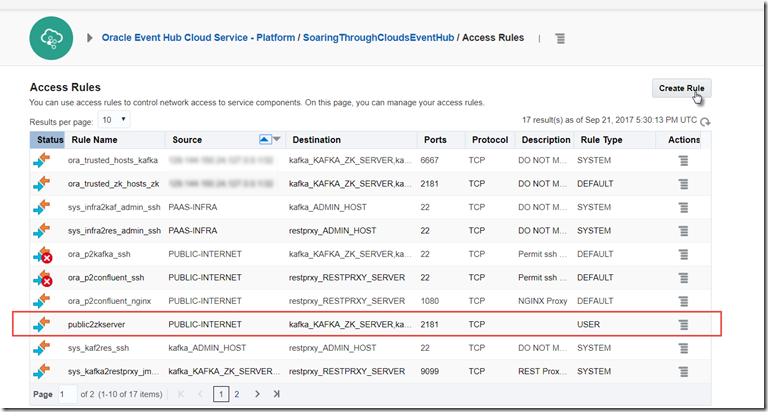 In order to communicate with this Event Bus from a local client – in this case created with Node – we need to open up some ports for access from the public internet. Note: the Event Hub Cloud Service is a metered service, billed per hour. The cost for the smallest shape is around $0,70 per hour (or $200/month for non metered). 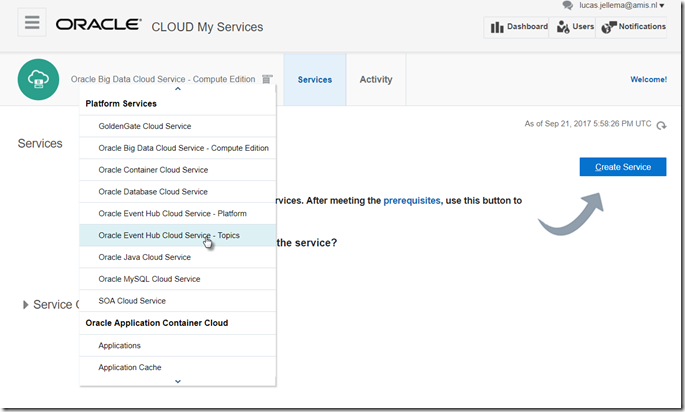 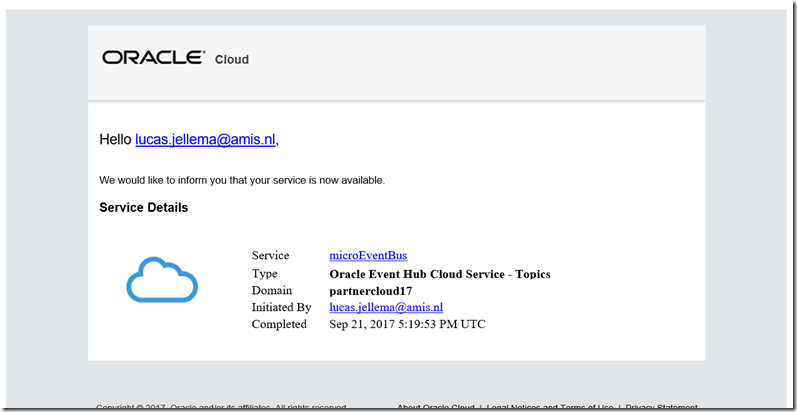 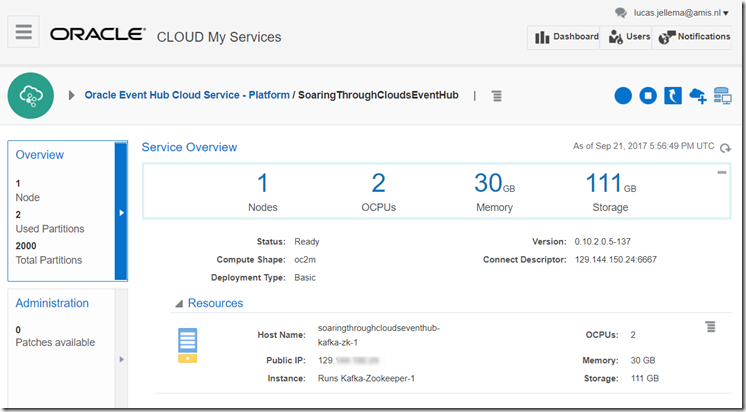 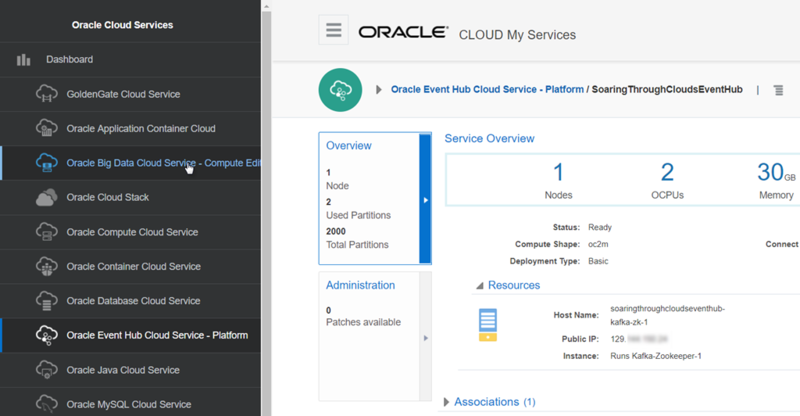 Switch to the Big Data Compute CS and select the service category Oracle Event Hub Cloud Service –Topics.